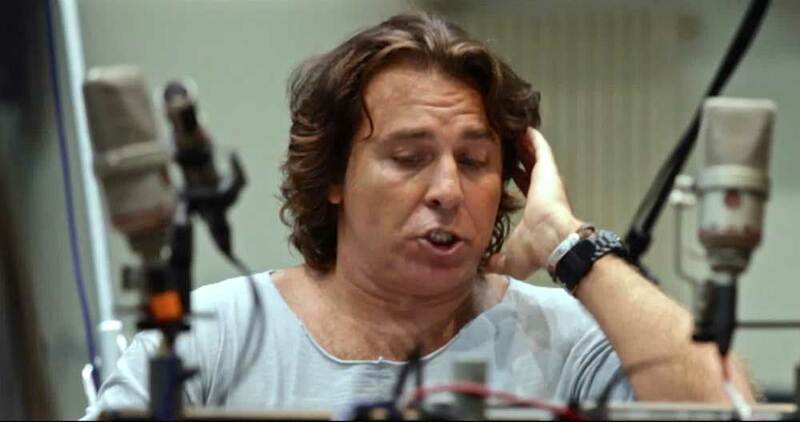 The release of Roberto Alagna's disc My Life is an opera is in itself an event as it is not a compilation but a very recent studio recording of opera arias carefully selected to illustrate the singer's path… When we met Roberto Alagna, he was between two performances of Carmen in Berlin. It has been also a chance for us to talk with him about Le Cid and Le Roi Arthus he will sing during the Season at the Opera de Paris. Tutti-magazine : You are currently between two performances of Carmen at the Deutsche Oper Berlin where you are singing Don Jose alongside Clementine Margaine. How are you? 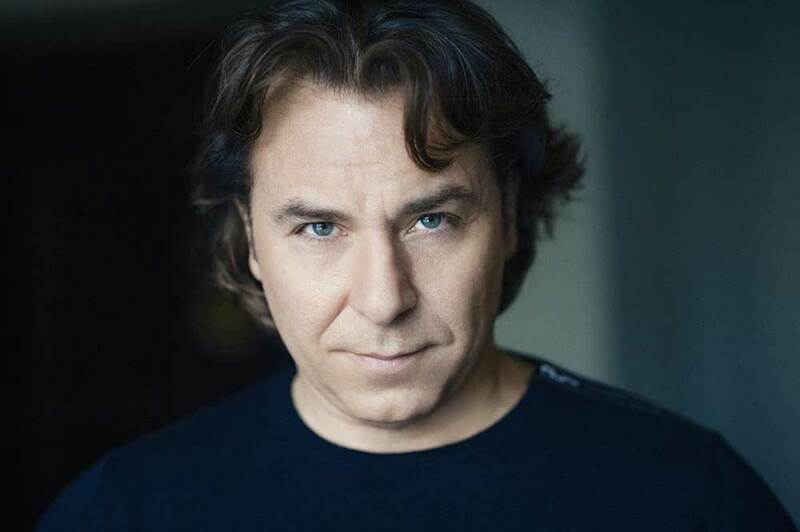 Roberto Alagna : I will be honest in saying I would prefer not to have to do interviews in the same time. It's difficult to take everything on, traveling and performing in a production in parallel. For example, I just learned that the soprano who sings Micaela is ill and will be replaced for the next performance. I don't know the substitute and it would have been better for me to be present on-site and get ready for the replacement. On the other side, I am perfectly aware of the need to comply with the various requirements of my job. That said, this Carmen in Berlin is running smoothly. I had already sung Les Troyens with Clementine Margaine in Marseille but this is our first Carmen together and all is fine. There are already video excerpts on the web! For your new album My Life is an opera, you have returned to some roles that have punctuated your path as a singer. During the recording session did you experience some of the same feelings that you had in the past as a performer, or some old reflexes?? 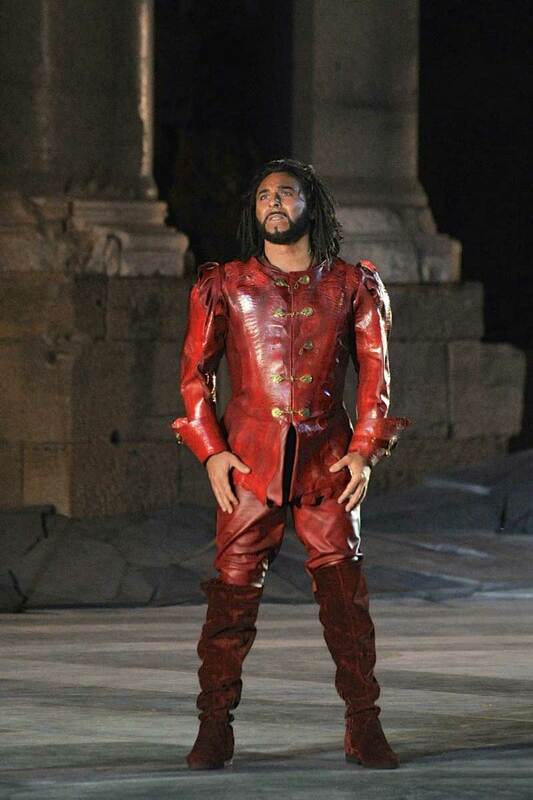 With a work like Roberto Devereux, reflexes are clearly present. But what I find truly amazing is our past-related sensations. The so prevalent idea consisting in believing that "it was better before" often also applies to singers about themselves. Thus I have also replayed what I had recorded before, and I was surprised to find that I am singing better today. I am reading the reviews and I happen to come across some papers where people regret that my voice becomes more like this or more like that, but I personally prefer what I hear today. No doubt, some things can have been lost, but a maturity has set in and I won other qualities such as a simplicity in the manner of singing and a kind of naturalness in my interpretation, things I had not before. Simplicity of sound and vocality, it's important for you? For years, I have been hearing a sound in me, the ideal sound I would like to render. This ideal, of course, is unattainable. When I am getting close to it, it moves further away. This is the famous perfection we are all pursuing. But one thing is certain: the sound I am seeking is extremely simple, and it is in this direction that I would like to evolve. The Deluxe Version of the album My Life is an opera includes older recordings, like a La Bohème which is 20 years old. We can observe, when comparing with the recordings of this year, that the voice is not very different, but it gained, I think, in the sense of the simplicity that I am targeting. When you are young, you may tend to make the strokes bolder, wishing to appear different from what you are. Often also, you are subject to influences. But this is normal for a young performer. When I listen to Caruso in 1903 or 1906 and Caruso in 1921, I prefer the latter, even he was said then to be finished. I am far more touched by his voice, even if he had some problems with his breath. Maturity can also be a good thing. Is the stage experience a key for performing such a recording? This is the first time I recorded an album in the same conditions as in live mode. Usually, when recording, we are singing for the microphone, knowing that we don't need to project the voice and that, even if we deliver a slightly toneless voice, this will give a color. But this is the first time that I don't sing for the microphone. I wanted to do as the singers of the past did. After all, this disc is also a tribute to the great tenors of the past such as Rosvaenge, Luccioni, Vezzani or Thill. When they were recording, there was no difference with the live. on stage. For this record, I really wanted to go back to this way of working, to the point that during the recording sessions I was not going and listen to the records, because being attentive to the records finally means to sing for the microphone. Absolutely, and that's why I asked my brother Frédérico to work with me on this disk. He was telling me if something needed to be corrected or recaptured. Yvan Cassar was conducting the orchestra and we went on with the tempi that were inspiring us. Similarly, Frederico felt free to ask Yvan to try something else. In short, we have worked in a climate of full trust and partnership, and I am pleased that the disc reflects our common and shared approach which was to avoid at all costs the artificiality in this recording. You recorded this recital in London in last September. Was it the right time? I recorded this album three weeks after having sung Otello at the Chorégies d'Orange. Meanwhile, there was also a big concert at the Palace of Monaco. Of course I heard right and left "He will be tired! ", "This is madness!". And the day before entering the studio, I recorded the integral version of La Navarraise by Massenet which will be released next year. This means that the period was very busy for me ... Well, I was myself very surprised of the ease with which I sang. I even believe I never recorded a nicer High D! I am also very proud to propose such a varied program in the track-list. How did you manage your energy to be able to sing so many valiant arias one after the other? It's true that we did not even have one full week to make this recording. Originally, I must admit that my label would like to release a best-of. I was only scheduled to record three or four arias. We didn't say anything, but with Yvan Cassar we agreed to try and record all at once. We have succeeded in winning our bet except for two arias we couldn't record, for lack of time: Le Postillon de Longjumeau by Adam and Sadko by Rimski-Korsakov, in Russian. After that, Universal had 16 pieces freshly recorded instead of 3 as initially expected. As they say, we run at full throttle for this recording, in a make it or break it situation! Of course, in such a context, we didn't have the opportunity to take care of the order in which the arias were recorded, according to the voice requirements. 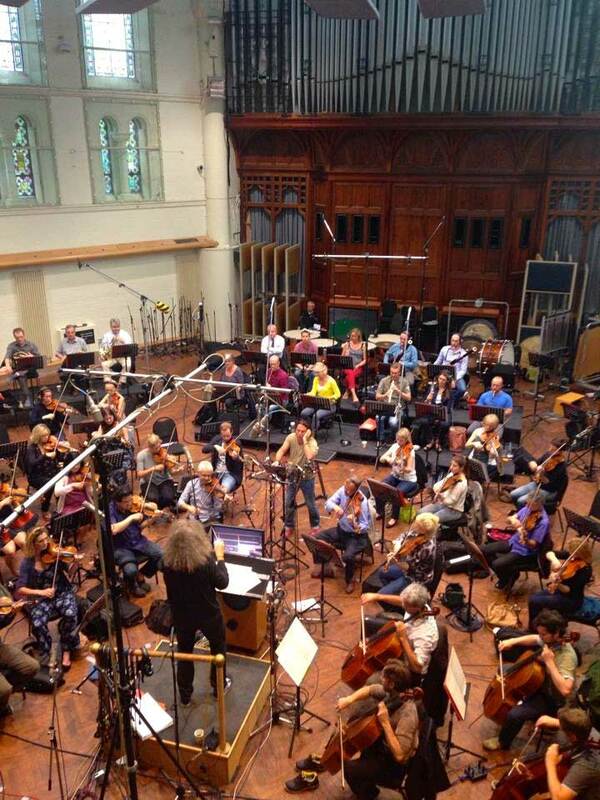 It was necessary to rather deal with the musicians who were present in the studio to allow us to record this or that aria, depending on the orchestration. I remember that in one session, I had to record four arias in a row. And they were good enough to be kept. As regards the vocal requirements, one of the most demanding aria is "Magische Töne" from La Reine de Saba by Goldmark, because it just requires a voice from an other world, and to finish with an angelic tone as in the "Hostias" from Verdi's Requiem. Delivering it after other arias is of enormous difficulty. "Il est dix heures ... Encore six heures..." from the Opera of my brother David, Le Dernier jour d'un condamné is also very demanding. But I very much appreciate having the opportunity to record this "Aria of the Condemned Woman" that I had never sung before. I must say "Bravo" to Yvan who was precisely able to appropriate all these various styles. Yet, I know that some have criticized his presence, as well as that of the orchestra, whereas we have gathered wonderful musicians from the London Symphony, the Philharmonia Orchestra and the Royal Opera House Orchestra! I heard pure aberrations about this Ensemble, just because many were unaware of the musicians' background. Some have even argued that they were studio's mercenaries! 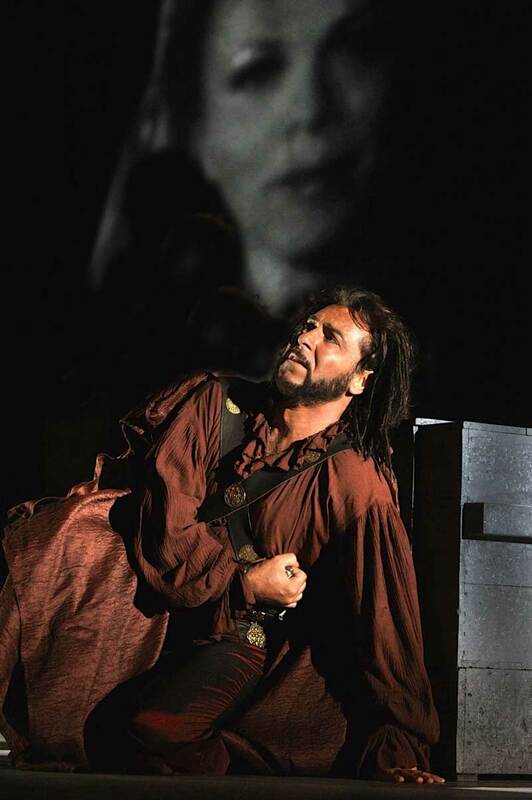 You will be Rodrigue in Le Cid by Massenet in March and April 2015 at the Palais Garnier. Massenet's writing is often seen as more respectful of voices than may be that of Gounod, for example. What do you think about that? I would say that Massenet's music as well as Gounod's is breathing music. It is therefore made for the voice. By contrast by Meyerbeer, take L'Africaine for instance, everything is connected and there is often not even a bar that allows the singer to breathe. It is much harder... But the difficulty of works such as Massenet's is that they are made of very heavy roles. The French Opera is generally seen from the perspective of its refinement, but we should not forget that these works are very intense, long (since often in 5 Acts) and written in a very demanding tessitura making the singer switch from a dramatic to a lyrical voice. This requires the singer to have a broad expressive vocal range. Moreover, if Massenet knows how to compose for voices, you also need to know how to comply with his style. Gounod has a different style, as each composer does, even Francis Lopez! Don't believe it's possible to sing Luis Mariano's repertoire without working it. For me, works, as well as songs, are like enigmas to solve. It's up to the singer to find the key, that is to find the proper technique and style, still having in mind that a style changes over time. Nobody sings Mozart to-day as his works were sung during his lifetime. In your quest for the right style, are you working with a coach? I do it more as a writer in the process of writing the biography of a person and who is considering anything that helps understand more about this person and the times in which he lived. I collect a huge documentation and listen a lot of records. I know that many singers do not listen to the existing records because they were probably being advised against doing it during their training. But I think it is a mistake. Would you advise an author not to read the books written by others? And a painter to ignore what is produced by other painters? That would be ridiculous. Singers fear imitating but we must be aware that no one does create anything from scratch, and each of us, we are the reflection of something that already exists. In life, we are absorbing multiple changes, and it's the same thing for singing. For example, to prepare the Goldmark's aria, I listened to all the possible versions to figure out how I was going to sing it. Precisely, that is the passion. A human being, chosen by Nature to be a singer, has this flame. At an age when others play football, I left everything to go and sing. The love of singing is for me a driving force for everything and I feel the need to constantly sustain my passion. Last night, I was tired after having sung in Berlin, but I didn't go to bed before 4 in the morning because I needed to watch videos of singers of the past. This is how I built what makes my culture, and not just an operatic culture, because the opera can lead to many things. The title of my album is My life is an Opera and there is a true reality behind those words. I owe everything to the Opera. Honestly, it's not my way of thinking. I make my choices for roles with which I fall in love. But it's not the case for Le roi Arthus because it is a role I was offered. In a case like this, and generally each time I am offered a new role, my first reaction is to decline the proposal, saying that "it's not for me". I had the same reaction for L'Elisir d'Amore. My first thought was that I could not do it ... Then comes the stage where I wonder why I am contacted for this specific role. And then I immerse myself in the score, I discover it. A score, it's a bit like a person. You get acquainted with it. You can fall in love with it like with a woman. I have this same relation to music. My approach of Chausson's score was not straightforward, but now I love it. How do you perceive Chausson's masterpiece? It is miles away from composers such as Mozart, Massenet, Verdi or Puccini, from their genius and inspiration. I keep the feeling that Le Roi Arthus is rather like a skilfull construction meticulously arranged than a truly inspired work. In the whole opera you can find similarities with the duet of Tristan and Isolde by Wagner... Besides, something special had happened to me by working Le Roi Arthus. I started by learning the first Act, then I had to set it aside for a moment to focus on my current performances. And over a single month, I had totally forgotten what I had learned. This is the first time it happened to me and I believe it's due to the fact that the structure of this composition is not natural to me. And yet, Le Jongleur de Notre-Dame by Massenet is much more difficult to memorize. With its score rich in syncopations and unusual harmonics, this opera is extremely complex from a vocal standpoint. It is one of the most complicated works I had to memorize. Anyway, as regards Le Roi Arthus, I understood that if I don't want to lose it, I must not set the work aside. Now, as I said, I feel comfortable with this music, especially with respect to the composition technique. The opera composed by your brother David - The Last Day of a Condemned Man has recently been released on DVD. What does this work mean to you? When my brother David started composing his opera Le Dernier jour d'un condamné, he was 18. Yet, with an astonishing maturity and despite the innovative side of his writing, he was able to join in the operatic tradition. David's approach reminds me of Mascagni’s, when he wrote his opera in one Act Cavalleria Rusticana as part of a competition. The genius was there and the work is still hailed as a great success. There is something similar with Le Dernier jour d'un condamné , so long as you enter this work without prejudice. Both the Orchestra conductors who have already led it, starting with Michel Plasson, and the performing singers were surprised at how deeply they were drawn in by this composition. It’s beyond thinking. There is something going on there. Today many artists use social networks to develop their image. What are your thoughts about that? This means of communication has become important. I have many fans who are publishing pictures and sharing information, but there is in particular a very committed person who handles that for me. She is in charge of administrating my Facebook profile and shows an amazing efficiency! She even comments on papers and articles on blogs or online magazines, pointing out the mistakes and is always demonstrating relevance with elegance and kindness. Her knowledge make her even succeed in reversing some situations based on negative or erroneous information, both on French and foreign websites. For a long time, when fans were defending an artist, they were accused of bias. Also, when they were reading misinformation, they kept silent because helpless, and let them circulate on the Internet. So now, I find it fair that someone manages to rectify the situation with tact, when necessary. The best part is that she can make some rather negative people change their mindset. Which of your next engagements can you announce in the short-to medium-term? In February I will sing Carmen at the Met again with Elina Garanca, and later I will perform in La Juive. 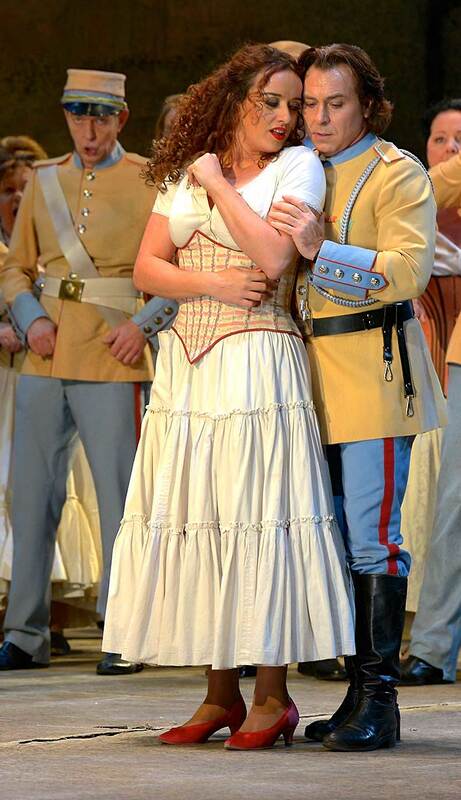 I am also looking forward to singing soon L’Elisir d’Amore with Aleksandra Kurzak. Then we will have Samson et Dalila at the Metropolitan Opera in a new production. Finally, Bayreuth calls me for Lohengrin... Is it not simply amazing! 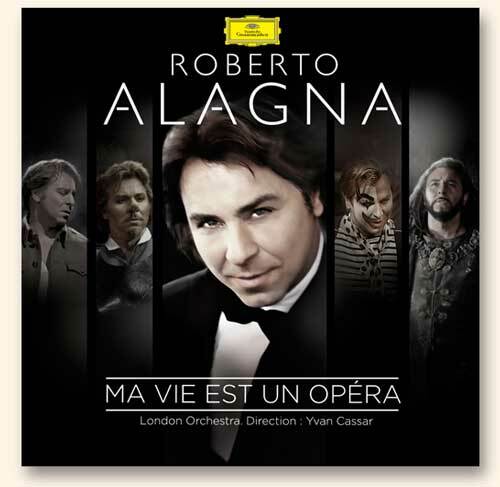 Roberto Alagna's album My Life is an Opera is available in two versions. The "Standard" version features 16 opera arias that the tenor has recorded in London in September 2014 conducted by Yvan Cassar. The "Deluxe" version only available in France also includes a second CD with 6 additional arias excerpt from La Boheme, Aida, Rigoletto, L'Elisir d'Amore and Turandot recorded between 1995 and 2003 accompanied by various orchestras.